How’s your week going? 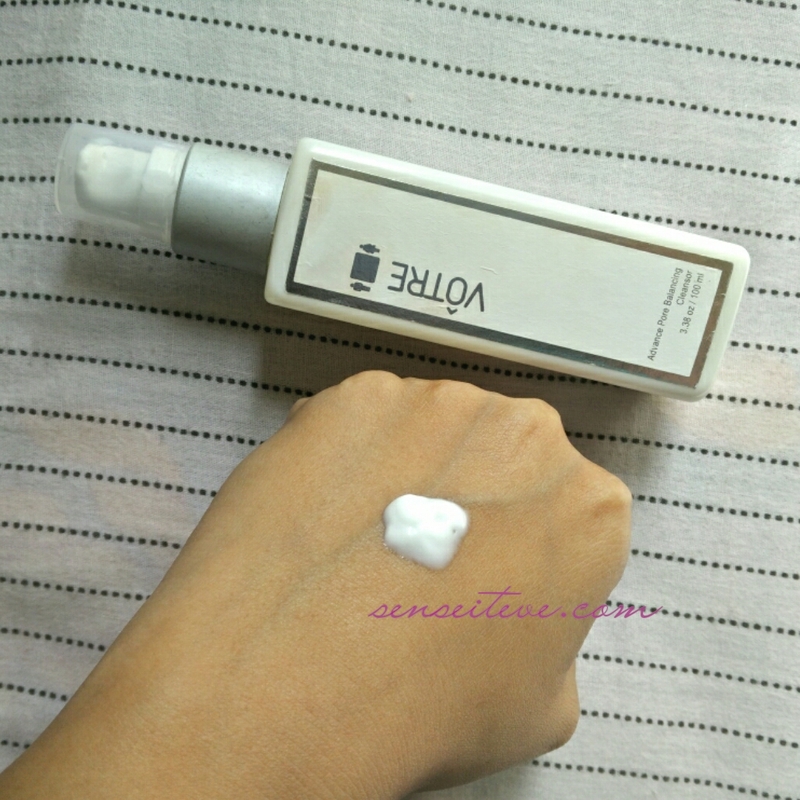 Today’s review is about a product which is my favorite morning facewash for past 1 month. I’m loving it, here presenting Votre Advance Pore Balancing Cleansor. 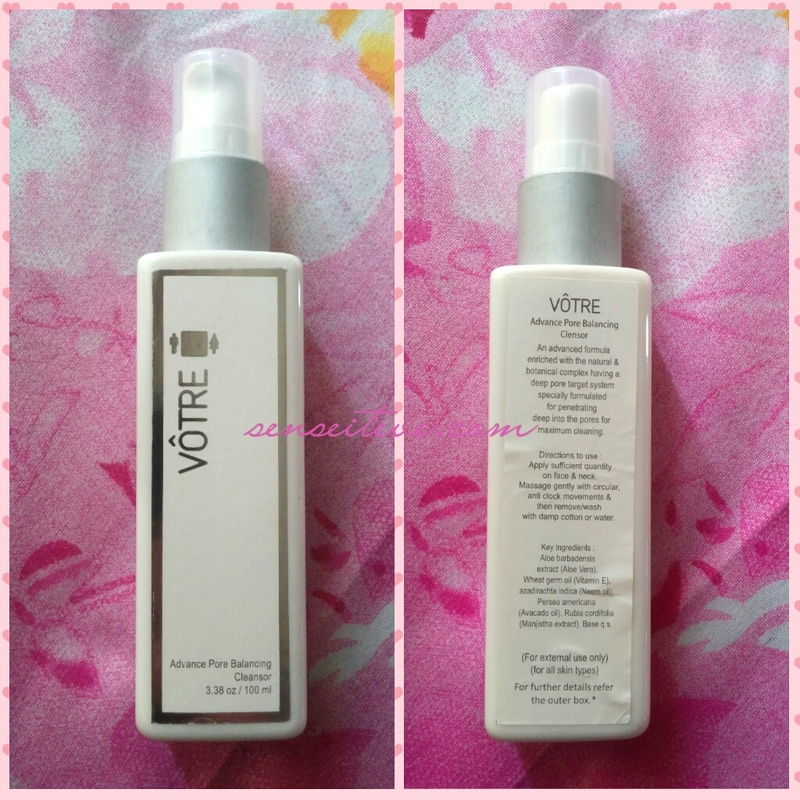 This is a new launch by Votre, I have already reviewed the toner from the range here. Let’s move on to detailed experience. 500/- INR for 100ml. Shelf-life of 2.5 yrs. 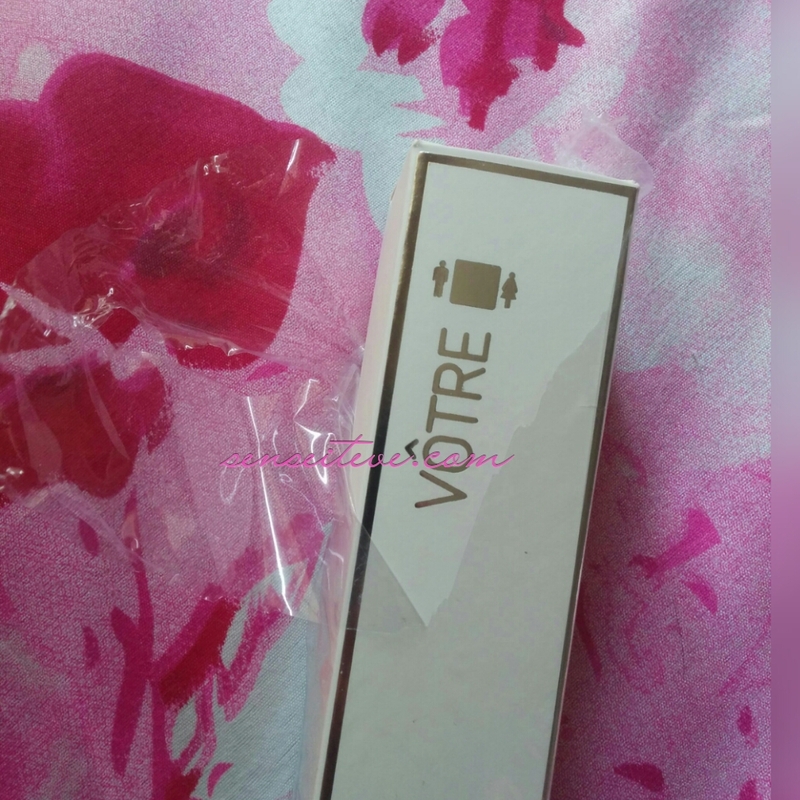 Votre Advance Pore Balancing Cleansor comes in a typical Votre packaging. Outer packaging is wrapped in a transparent thin plastic wrapper. I love the packaging. Pump dispenser is good and doesn’t let out excess amount of product. 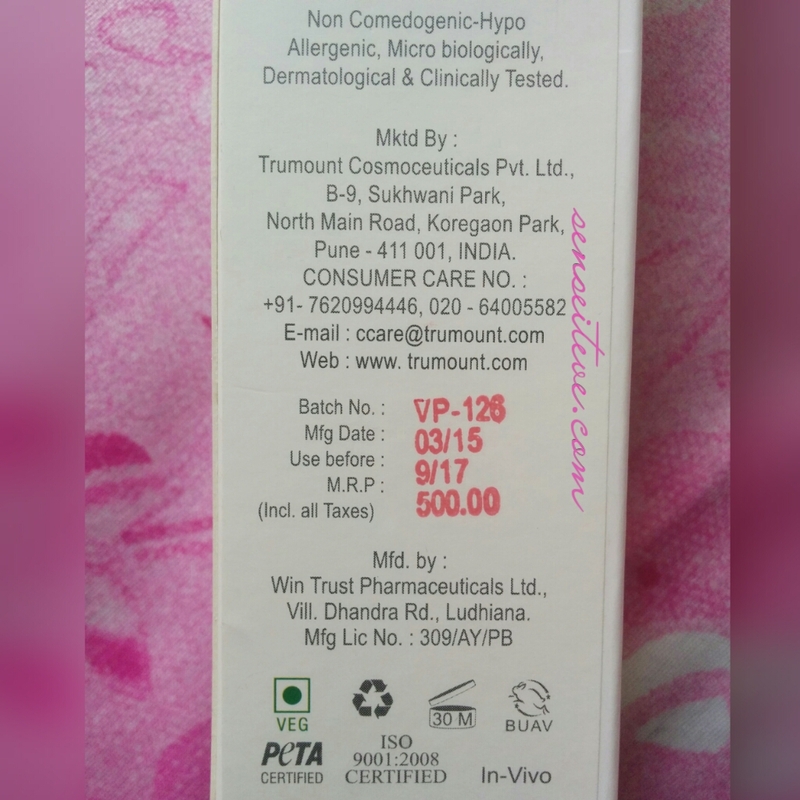 Product information is written over the box as well as on the bottle. Votre Advance Pore Balancing Cleansor is like a cream and has a texture of facecream. It feels like you are washing your face with massaging cream. First of all as I have mentioned it feels like a facecream, I actually cross-checked thew packaging when i first applied it 😛 It doesn’t lather at all but surprisingly cleans all dirt and grim and excess sebum off my face, I have used such facewash which was suggested by my dermatologist during my acne war. It is mild and doesn’t irritate broken skin or sensitive skin like mine. I don’t feel like running for moisturizer. I need 4 pumps for my face and sometimes I go second time with 2 pumps just to make sure that my face is cleaned. I really love using it in the morning as that time i don’t have much on my face just thew night cream. It is the mild facewash apt for everyday use. I have been using it for more than a month and it is not finished even half. If you remove your makeup using oil then also you can use this facewash but it won’t remove any makeup on its own. So far i’m loving it and it seems to be worth the price. If you have not used anything like this before then you might feel little uncomfortable with the texture and non-lathering part but if you can make peace with it then it is great. 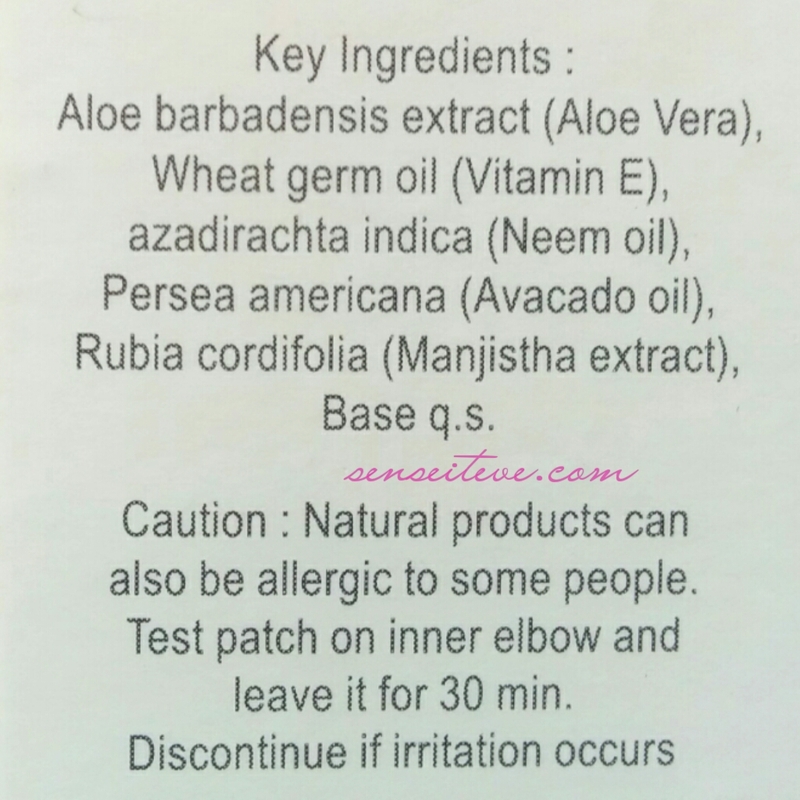 Doesn’t irritate sensitive or broken skin. 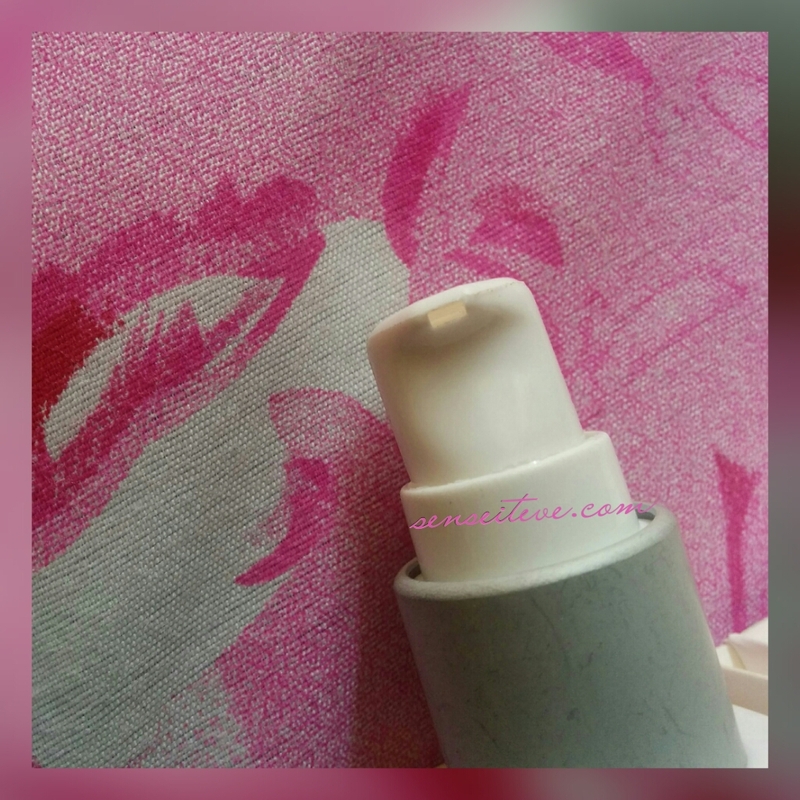 Clears face without ripping off moisture. Keeps pores clean of dirt, grim and excess oil. Doesn’t rip off moisture from skin. Free from SLS, Parabeans and harmful chemicals. Some may not like no-lather property. Pricey(But quantity is worth the price). Recommended for all skin types. If you can make peace with creamy texture and non-lathering property then you’ll like it a lot. I will repurchase it in future if spotted on discount. 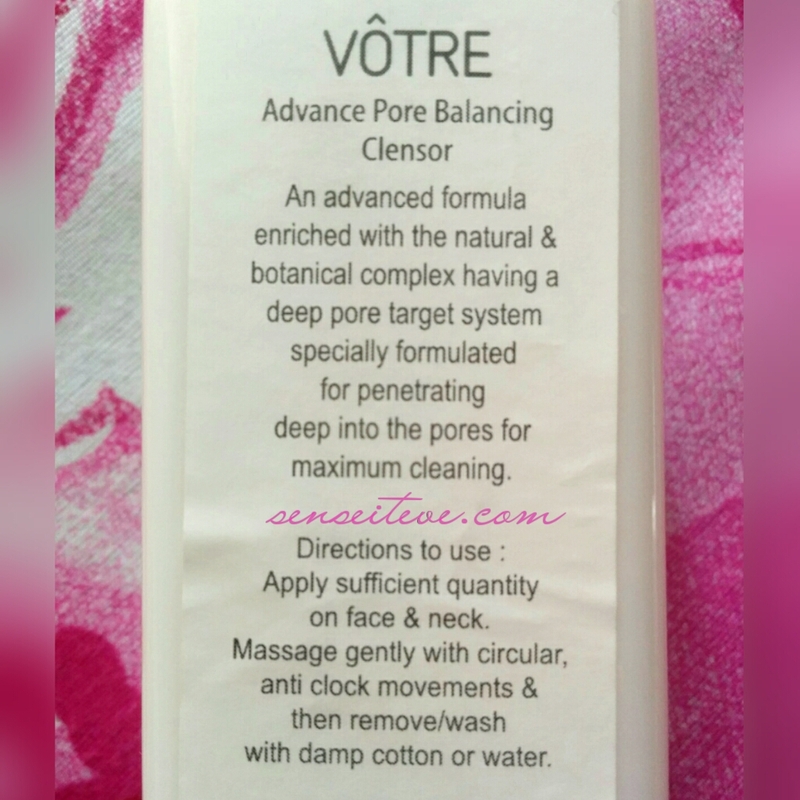 So Ladies…what do you think about Votre Advance Pore Balancing Cleansor? will you give it a try? Have you used it? Drop your comments in comment section below. This sounds really good for people suffering from blackheads. It seems like a great product Anubhuti… I feel like the quantity required is a bit more than other cleansers though. No quantity is same as other cleansers, its pump dispenses lesser product. nice review. The product seems interesting, but No lather property is also bit irritating for me as we are used to lather. I would rather skip this. sindhura Gurazada recently posted…Mix these ingredients for a hair mask and the results are amazing ! Huge fan of cream cleansers and this one sounds nice. them. Thanks for the review. 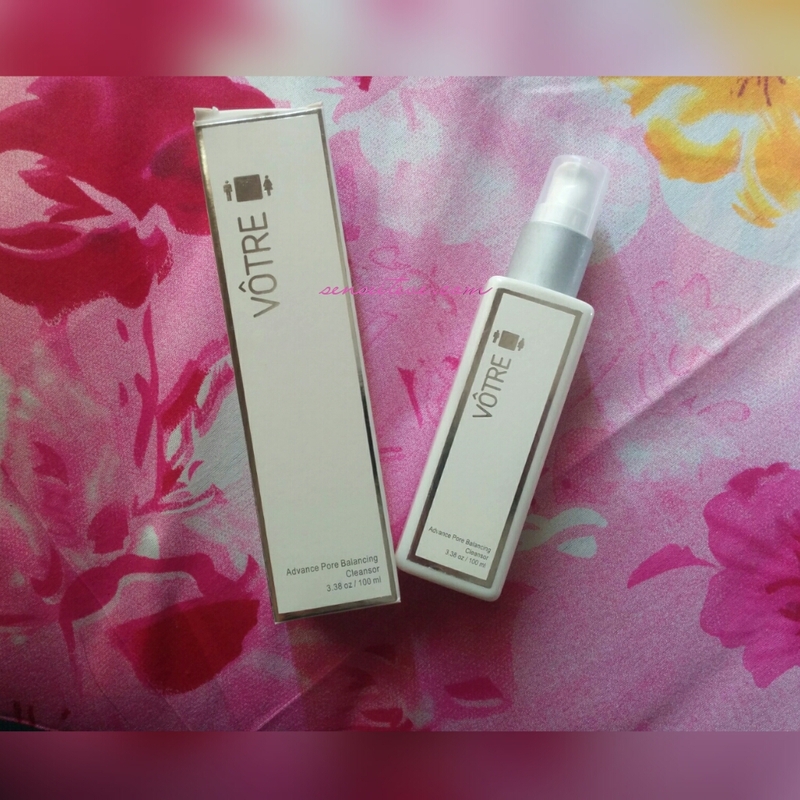 Thank you simera..This kind of cleanser are very few :P..
Do try..let me know how you like it.. I have never hard of this product. Thanks for the complete review! Great product!!! Really like it. It sounds great Anubhuti! 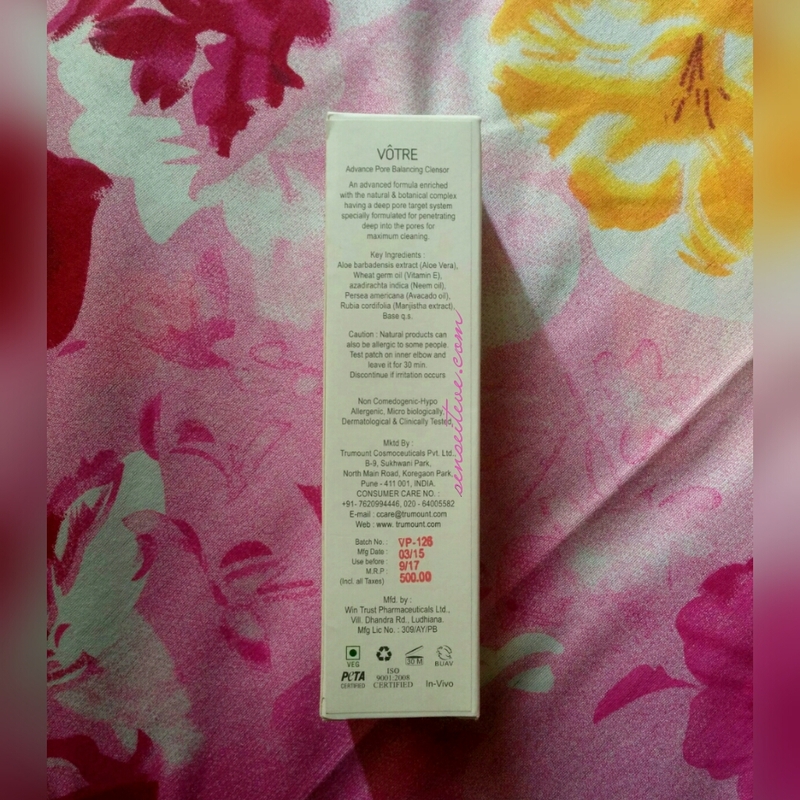 😀 But I don’t know if I’ll like the creamy texture..
i got a toner from this brand in my fab bag but I haven’t used it yet….great review dear…. Interesting product! I’ve never seen that brand. thanks for sharing! I was a little sceptical when I first heard the brands name. But after trying their microdermabrasion gel I got to say their range is quite lovely. Will check it out too soon. Oooh nice! I usually don’t splurge much on cleansers but because of this post, I am now interested to check out cream cleansers, i haven’t tried that, tbh.